How To Commence A Memorable Night Out On The Town In Bethesda, MD, In Two Easy Steps. If you are having a night out for the girls, or are a group of friends looking for a fun evening out in Silver Spring, Bethesda or some other venue in MD, start as you mean to go on. From the moment your chauffeur picks you up in one of our stylish limousines or party buses, you can start the party in luxury and style. 1. 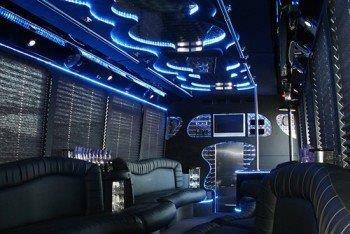 Our vehicles are made for a party. Each of our limousines is luxuriously finished and equipped with bar area, glass stemware, sound system, flat screen television, all perfect to commence your fun night out. 2. Get the most from your night out. Whether you are going to multiple venues, or just to one, you can keep the party alive while your chauffeur takes care of the drive. No need to stress over who will be the driver or where you will all meet up. Just sit back in comfort and have a drink or two from the bar. 3. Professional drivers. Our hand picked drivers are professionally trained and polite. They will be punctual and you can forget about appointing a designated driver for the night. You just need to concentrate on the partying while he concentrates on the driving. 4. Designed to service your needs. Whatever your schedule and destination, we are skilled in providing a top class service. We can accommodate multiple pick-ups if required. So instead of stressing about the drive and the parking, you get to do what you want the most – enjoy a night of door to door fun! Step 1: Complete the online from above. Step 2: Click on the “Give me my FREE Quote” button. Alternatively just give us a call at 301-825-8833 to start arrangements for your night out on the town.